It’s time for a midyear checkup. 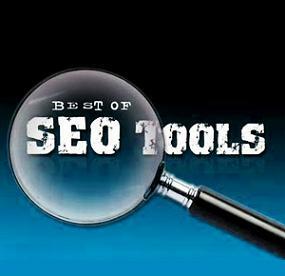 A lot has changed in the arena of SEO which means that some SEO tools are now outdated. Thankfully there are still some tools that survived and there are even now new tools being introduced to meet the changes. If you’re just getting started with SEO you might not want to immediately go out a purchase expensive tools. There are still a number of good and free tools that you can use to make SEO just a lit bit easier. From checking for website malfunctions, tracking backlinks, monitoring pagerank or analyzing content there are tools that you can use. Having the right tools is priceless. It will save time, money and give you perspective on the essential SEO tasks that you need to complete. Now that we are halfway through 2012 when a number of sites have gone under thanks to Google Panda and Penguin updates the question is what SEO tools still remain valuable? Find out more about five of them below. Google SEO tools still rule. They are free and they cover almost every aspect of SEO. They include the Google Adwords Keyword Tool, Webmaster Tool, Google Analytics and Google Insights. Use these tools to effectively measure your activities and to determine what keywords you should be targeting. The free version of SEMRush lets you do up to 10 queries a day. If you are doing SEO on a larger scale you should upgrade to the premium option. 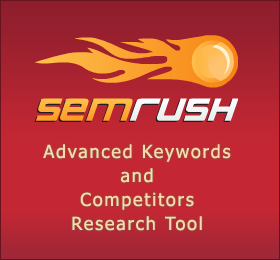 With this tool you will be able to analyze a site to see the organic keyword listing, do a competitor analysis, get ad suggestions and much more. The SEO toolkit from Microsoft is the Bing equivalent to Google’s SEO tools. There are several tasks that you can complete with the tools but by far the best benefit you can get is the ability to check the speed of the website. The analysis of websites is done based on Bing’s algorithm which is good if want you site to go beyond what Google requires. The tool must be downloaded to your desktop but that shouldn’t faze you as it is definitely a tool you must have in your arsenal. SEO Doctor is a FireFox Addon that is a simple yet valuable tool for beginners and pros alike. The scoring system that it uses is based primarily on Google Webmaster and Image Guidelines but it also utilizes some of the guidelines from the developer Vladimir Prelovac that he developed based on his own experience in SEO. SEO doctor will point out potential on page problems, display link structure and provide warnings on pages that cannot be indexed by Google. GTmetrix is a tool for analyzing and testing page speed. Since page speed is one of the factors considered in determining where a page ranks you must be concerned about the speed of your pages. With GTmetrix your site will be given a grade based on the loading time. A score of A indicates an ideal score but if your site takes more than 4 seconds to load you will be given a score of C or below. The great thing about this tool is that it will give some suggestions on how you can improve your page speed. Once you’re comfortable with these tools you can upgrade to the premium ones if you want to further improve your site. Until that time these free SEO tools will give you just about everything that you need to ensure that your site is all that it truly needs to be.